She said while browsing in the shop, she saw the t-shirt, immediately thought of me and bought it! Not only was that very thoughtful and sweet, I LOVE it! 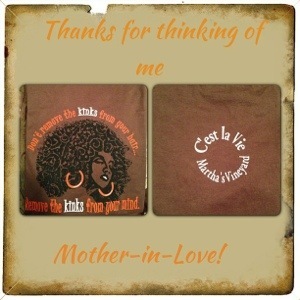 Brown is my favorite color, I love t-shirts and the message is even better! The picture above is from the best Homecoming ever, Tuskeegee University. And although we don’t see each other often, Homecoming is a time that she and I reconnect. Last year, my husband opted out of going, but I still went and had a ball with her and my Sorority sisters . And although she is a Mama, she held it down with the Sorors when we picked her up for dinner lol. I’m already looking forward to this year! Thank you Mother-in-Love for thinking of me! See you soon! 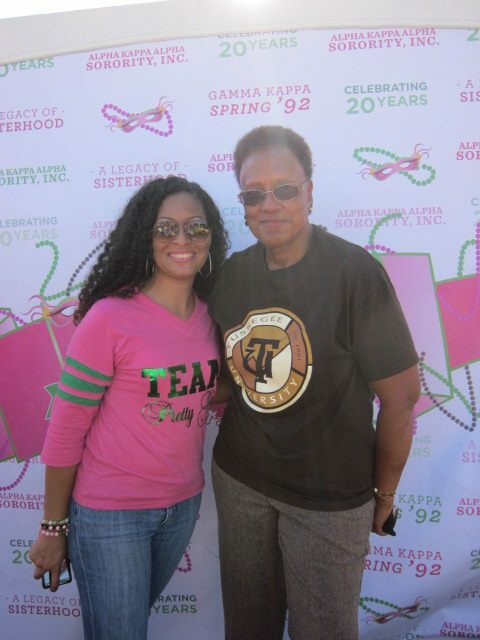 This entry was posted in AKA, Alpha Kappa Alapha Sorority, Mother-in-Love, Soror, Thankful, Tuskegee. Bookmark the permalink. What a blessing to have such a great relationship, which is a very important relationship. I bet your husband is proud. I like that, “Mother-in-love” it made me smile because I have new cousin in NYC that calls me her “Cousin-in-love” because I am engaged to her favorite cousin.